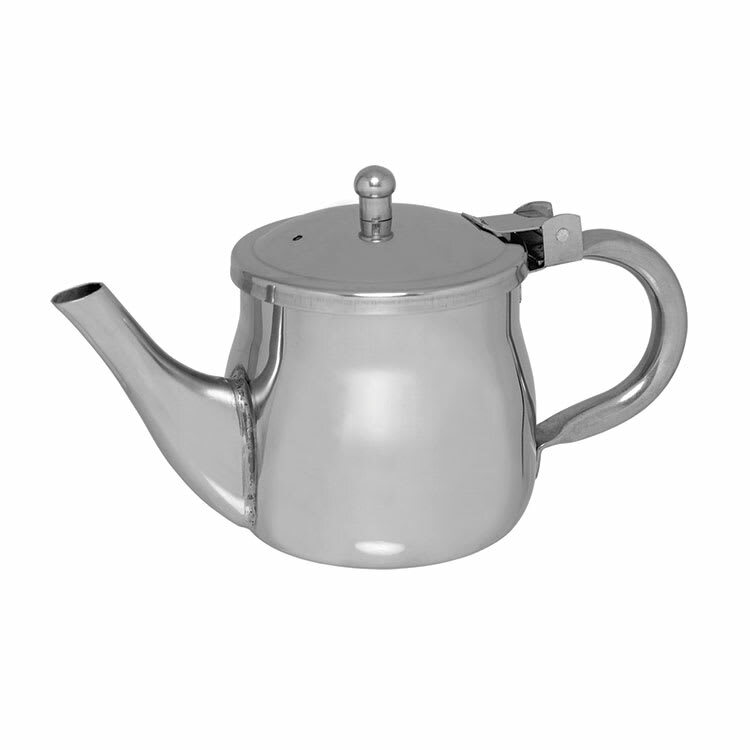 This stainless steel tea pot from Update International is an elegant, yet practical addition to your tea or coffee service. This tea pot has a 10 oz. capacity and hollow gooseneck for easy pouring. Excellent for coffee bars, cafes, buffets, and hotel room service, this sophisticated tea pot's stainless steel construction helps keep your tea warm or cream chilled. "They look like the have been redone. Where the spout connects to the pot has lots of welding on the outside. It took lots of cleaning to get blac..."
"They look like the have been redone. Where the spout connects to the pot has lots of welding on the outside. It took lots of cleaning to get black smuge off on the outside and inside. The price was good but I would have paid alittle more to get a better looking Tea Pot that I wouldn't have had to put so much work into. They don't look to bad now!"